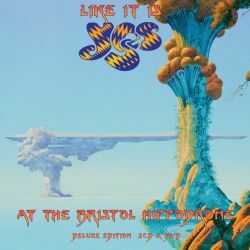 Recorded on May 11, 2014, Yes' concert album Like It Is: Yes at the Bristol Hippodrome features the legendary prog rock ensemble performing two of its classic albums (1971's The Yes Album and 1977's Going for the One) in their entirety at the historic British venue. Featured here are such longtime Yes members as guitarist Steve Howe, bassist Chris Squire, keyboardist Geoff Downes, and drummer Alan White. Also featured is Yes' 2010s touring lead singer, Glass Hammer's Jon Davison, who replaced Benoît David in 2012. This is an epic live experience that finds Yes celebrating its classic '70s sound.